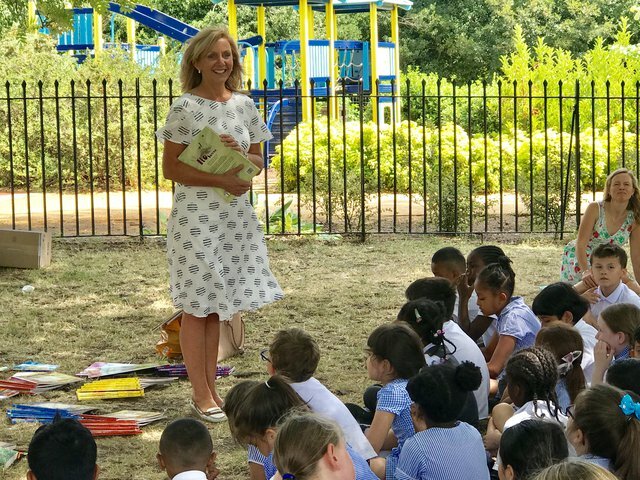 Children’s author Hilary Robinson joined pupils from St Mary & St Pancras Church of England Primary School yesterday to celebrate their third and final book gifting event as part of our Young Readers Programme. On a glorious morning in Regent’s Park, the Year 1 and Year 4 pupils were treated to a reading of Hilary’s Snow White and The Enormous Turnip and Where the Poppies Now Grow. 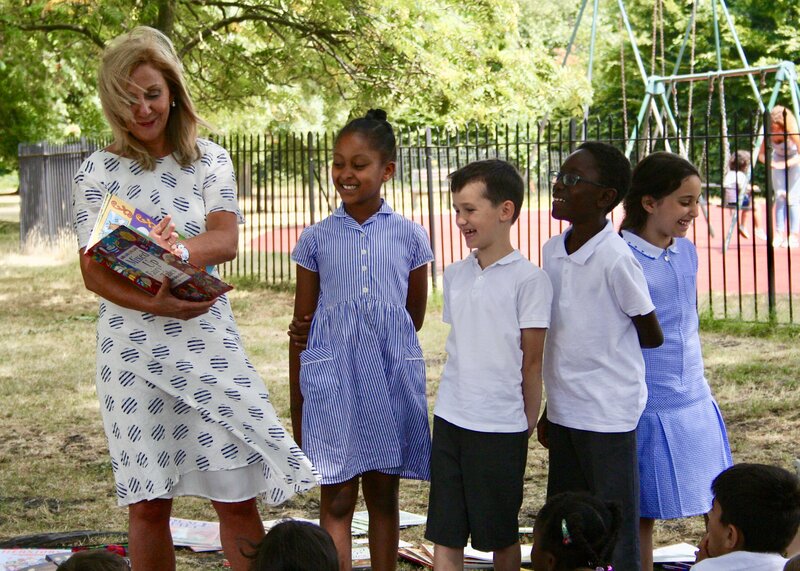 A group of pupils then got the chance to help Hilary create the funniest fairy tale they could using her Mixed Up Fairy Tales book; an ingenious split-page book, which allows children to mix up 13 of their favourite fairy tales. 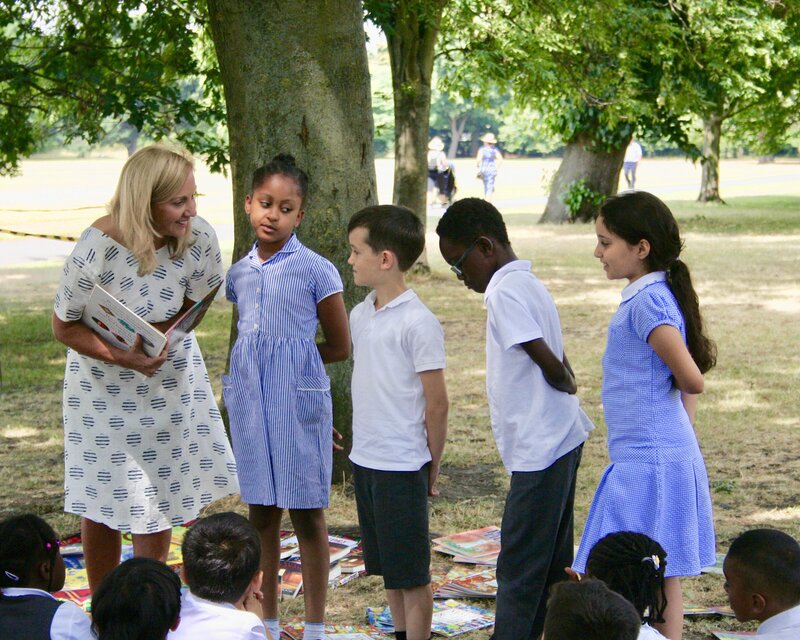 Mixed Up Fairy Tales is also one of the most popular books chosen by children who have taken part in the Young Readers Programme over the past 21 years. 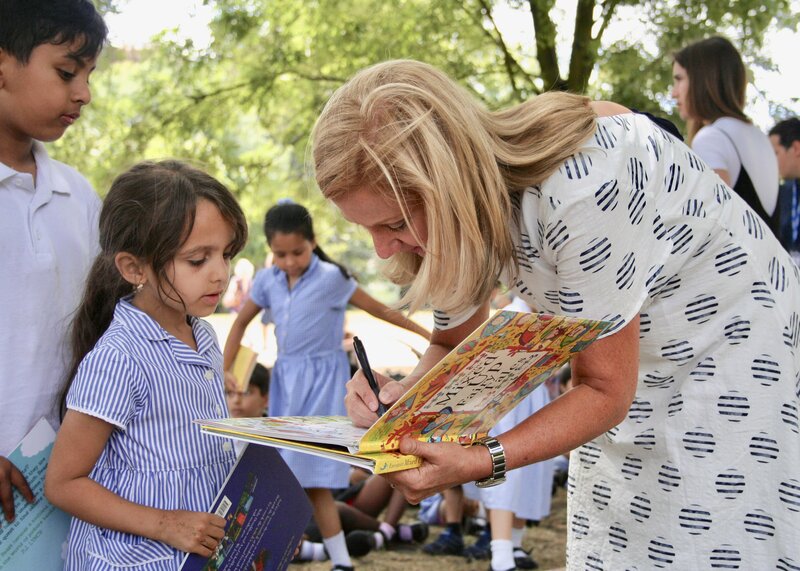 After asking Hilary lots of questions about being an author, the pupils were thrilled to be able to choose their favourite of Hilary’s books to take home and keep. 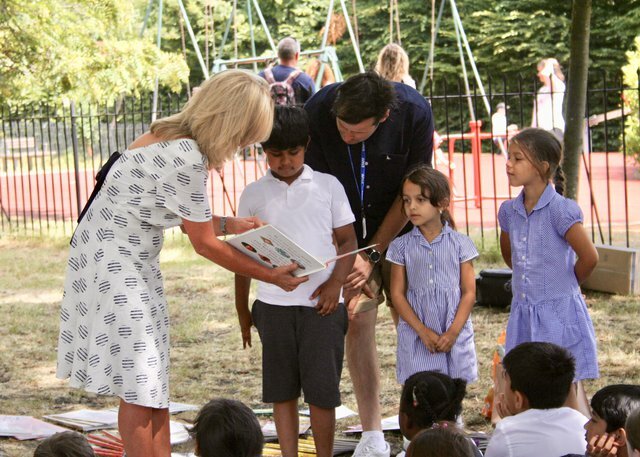 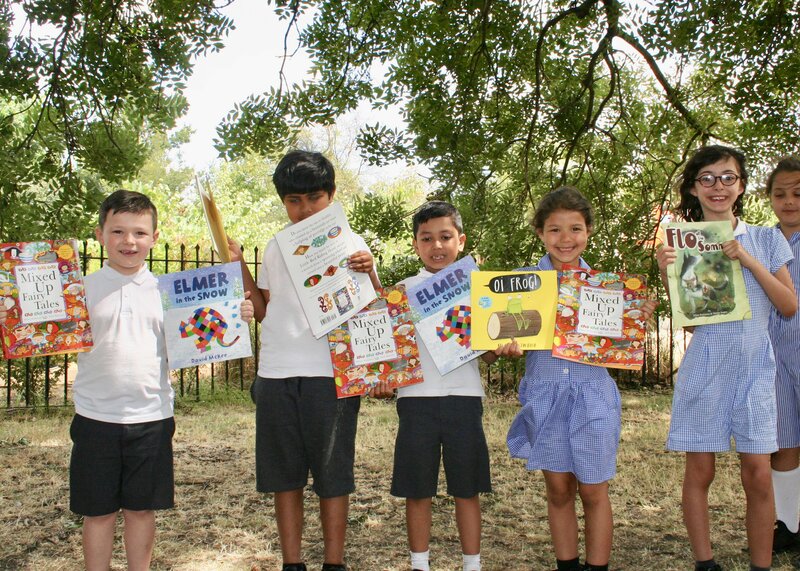 With special thanks to British Land who made it possible for St Mary & St Pancras Primary Church of England School to take part in the Young Readers Programme this year. 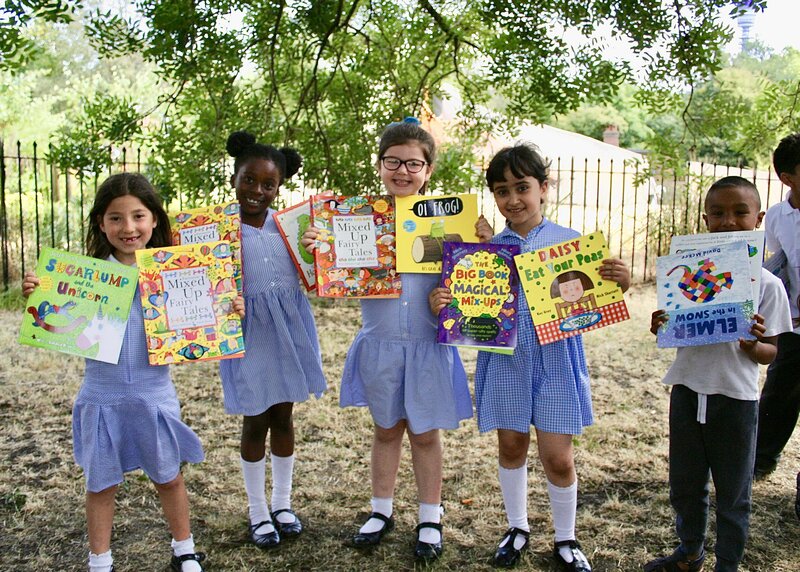 The Young Readers Programme teaches children how to choose books they will enjoy and gives them the opportunity to take home books of their own to keep at three exciting events throughout the school year. These are often the first books they have ever owned. Express your interest in running the Young Readers Programme in your primary school from the autumn.